If you carry your CARDOCASE as a backpack, always use both backpack-straps. Please do not carry the CARDOCASE with a single strap over one shoulder. The carrying system is not designed for this. The result may be that the carabiner and/or the mounting screws are damaged. For those damages, we can not accept any liability! Once you see that the metal carabiner at one point gets thinner, you should not use the straps any longer, please order new straps. If your horn is not listed, please contact us. I would like to have a different outer fabric or individual design or embroidery. How can I get it and how much does it cost? 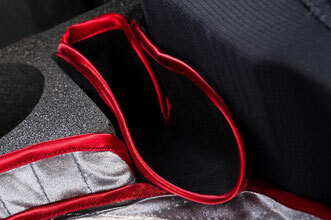 The cost will depend on the fabric and the desired type of embroidery. Please send us an email with your wishes and we’ll make you an offer. The backpack straps are too long for my body, what can I do? The straps can be shortened easily by an expert (Shoe repairer, saddler). If you don’t have the opportunity to do this close to home, we offer the same service, simply contact us. If you already know that you will need shorter backpack straps: just order it. I will travel by plane with my French horn. 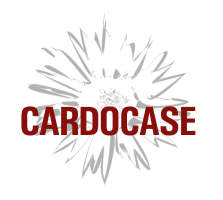 Can I take my CARDOCASE on board with me as carry-on baggage? Cabin baggage should have maximum length of 22 in (56 cm), width of 18 in (45 cm) and depth of 10 in (25 cm) according IATA (International Air Transport Association).  The CARDOCASE comes out at approximately 22in x 15in x 8 in (56x37x19cm) in the smallest S-size, the L-size is 24 in x 17in x 8 in (60cm x 42cm x 19cm). 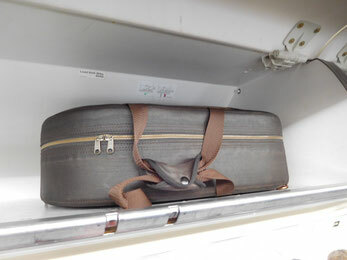 However, the professional musicians using our French horn cases have had so far always been able to take it with them on board and even on the smaller internal flights, their instrument could be stashed away, despite the small luggage compartments, giving the CARDOCASE a clear competitive advantage. Also the fact that a CARDOCASE weights roughly 25% less than conventional cases is definitely a bonus. 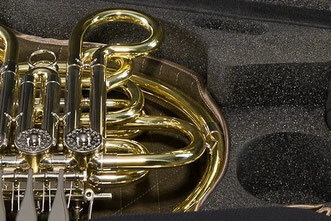 The CARDOCASE and the French horn weighs approx. 5 kg (11pounds), which is the maximum weight accepted by the majority of airlines. Increasingly weight will determine whether there are additional charges for customers hand luggage, so this is a real plus. What is so special about the foam? 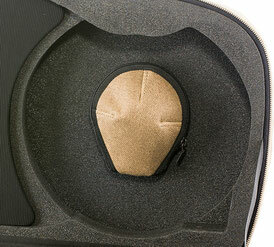 This special foam has many properties that are ideal for use as transport protection for valuable French horns. Despite its low weight, this foam offers high energy absorption and high formula elasticity under static and dynamic loads. The foam is temperature resistant, absorbs almost no water and offers high chemical and oil resistance. The material has good heat and cold insulating properties and is easy to clean. As this foam is particularly easy to recycle and does not contain CFCs or other greenhouse gases, it is very environmentally friendly. Which functionality does the loden-cloth inlay have for the mouthpipe? The loden-cloth inlay is made out of loden (compressed wool) and is designed to absorb the moisture that leaks out of the mouth pipe. Loden is hence perfect for this purpose and since it is natural, moisture doesn’t make it smell. These bags can be washed with lukewarm water and natural (unperfumed) soap or if you prefer, you can buy yourself another one. That awful smell and unhygienic moisture are a thing of the past. What is a top bag? A “top bag” is a little bag, placed below the bell and offers space for little items like oil, lubricants and others. The top bag is hand made with loving attention to detail and the fabrics are the same as those for the case. How should I go about cleaning my CARDOCASE? All of the materials that we use can be sponged off with lukewarm water and a mild washing powder or detergent. Please don’t rub too hard in one place, otherwise you might end up with a stain on the material by mistake. The marks will disappear once the material has dried. How can I protect my CARDOCASE from the rain? With the exception of „Hemingway’s Dream“ all of the materials used have been deliberately chosen to withstand a fair bit of bad weather, they don’t absorb the damp and if they do happen to get really wet, there is no damage to the case. My CARDOCASE got soaking wet in the rain. What’s the best way of drying it out? To dry your case, open the lid and leave it in a room to dry naturally, it should be fairly warm, with at least 20 degrees Celsius. For the pockets on the outside and the lining, we recommend that you use dry, absorbent, robust tissue that doesn’t ‚flake up‘. Important: The case should NOT be dried with a hairdryer, or another source of warm or hot air. The foam inner would not be able to withstand such heat. The case will be dry, inside and out, once the material has dried.